I do not know who this woman is, but was struck by the twinkle of joy he captured in her eyes. I thought (with the artist's permission) I might post the picture of his painting here to see if any of you, my followers, know who she is. 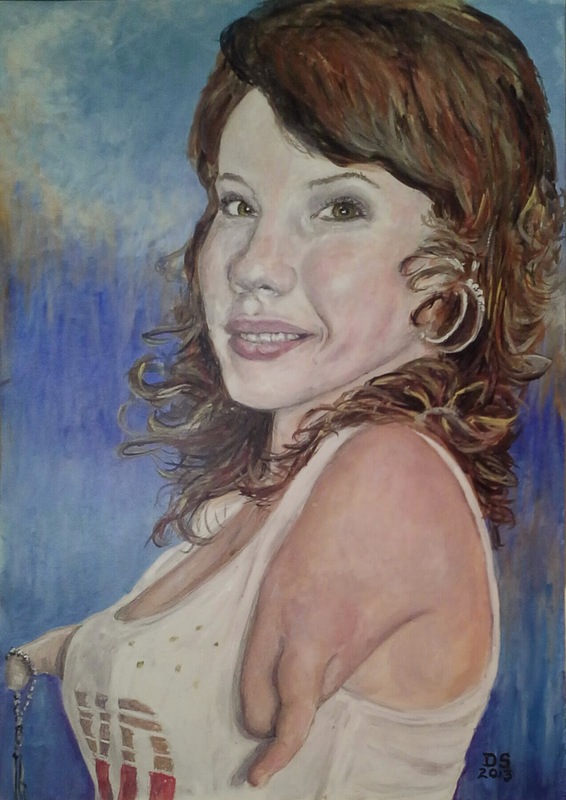 The artist has a sister who is a congenital amputee, and he has other similar portraits in his portfolio. Deborah Gardener, from Spokane, WA. It's a beautiful painting - I'd like to see more. Can you share the artists identity?